Nipsey Hussle was on his way to becoming a Jay-Z of the rap world: a revered penman with a brilliant entrepreneurial spirit. 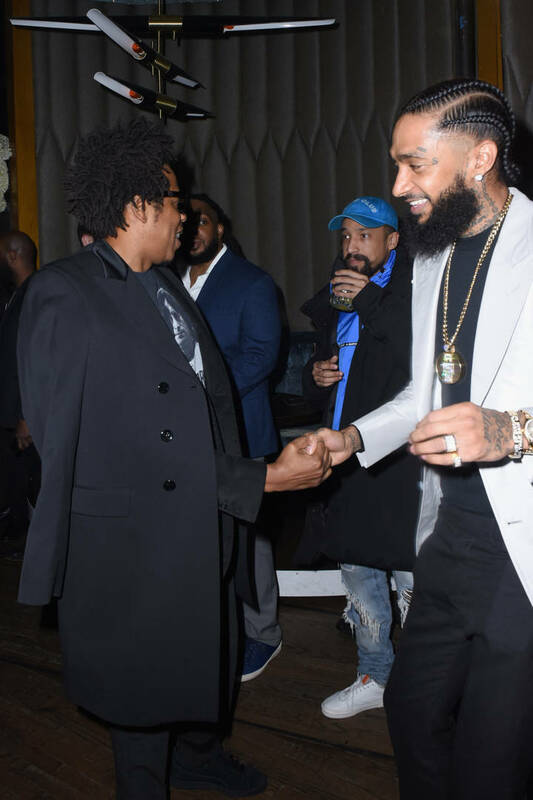 HOV's been an early supporter of Nip since the Crenshaw rapper pulled a bold business move to sell 1000 copies of his Crenshaw mixtape at $100 each which Jay later copped 100 copies of. As fans, peers, neighbors and family members poured into the Staples Center to pay their final respects, Jay-Z and Beyonce were not only in the building but the Brooklyn legend also penned a heartfelt tribute to the rapper in the memorial service program pamphlet.